North Sound (Antigua and Barbuda), Feb 2: West Indies' surprising dominance of England continued on the opening day of the second Test with the home side's fast bowlers bundling out the visitors for 187 at the Sir Vivian Richards Stadium in Antigua on Thursday. Already 1-0 up in the three-match series, the Caribbean team's openers negotiated 21 testing overs to the close and the pair of Kraigg Brathwaite and John Campbell will resume on the second morning at 30 without loss in reply. Thrashed by the comprehensive margin of 381 runs in the first Test in Barbados less than a week earlier, England again struggled to cope with the combined assault of the home side's pacers. As in the first innings of the first Test when they were routed for just 77, Kemar Roach again led the assault with four wickets. He was ably supported by the fastest of the quartet, Shannon Gabriel (three for 45) while Alzarri Joseph and captain Jason Holder combined for the remaining three wickets as they effectively exploited a green, sporting track to justify Holder's decision to put England in on winning the toss. Moeen Ali and Jonny Bairstow struck contrasting half-centuries to avert a complete and abject capitulation again by the pre-series favourites whose captain suffered most from the vagaries of an uneven surface. Facing fierce criticism in the wake of his side's abysmal showing in the series-opener, Joe Root was left in an even more rueful state midway through the morning session when Joseph produced a sharp lifter which looped from the handle of Root's bat for a back-pedalling Campbell at third slip to parry the ball upwards, allowing Shai Hope running around from gully to take a diving catch. By then both openers had perished to Roach and Joseph, and when Holder chimed in with the wicket of Jos Buttler via a more comfortable slip catch to Campbell, England were in desperate need of resuscitation at 55 for four. Bairstow offered a bit of breathing space towards the end of that first two hours' play, counter-attacking impressively to reach 52 off 64 balls with nine fours and a six only to fall in the very first over after lunch, Roach trapping him leg-before. "I don't think you felt in because you always knew there was a ball in there that might bounce," said Bairstow of the batting conditions. "You've got three guys that are well over six foot and I think that it's something difficult to contend with when there is variable bounce in the pitch." His demise brought Ali to the crease and while he saw Ben Stokes succumb to Gabriel at the other end, the off-spinning all-rounder found an able partner in Ben Foakes, the wicketkeeper-batsman contributing 35 useful runs and featuring in an 85-run partnership for the seventh wicket to lift their team from the depths of 93 for six. 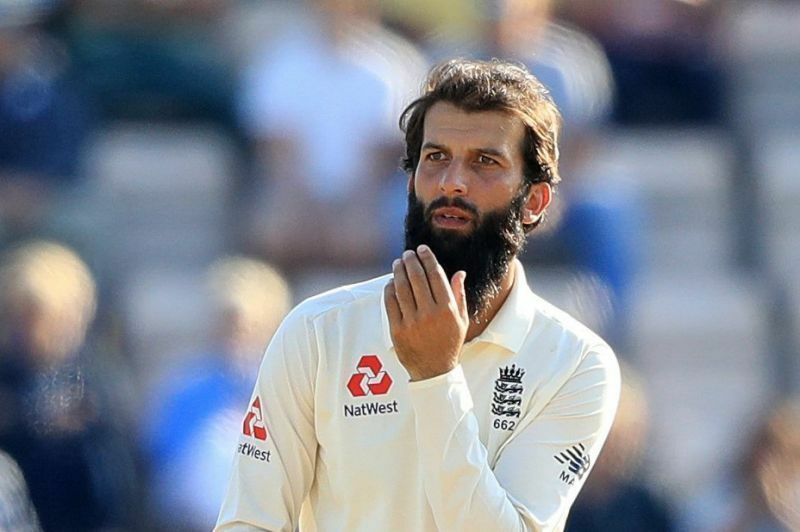 Under pressure to deliver with the bat after failing to score in both innings of England's humiliation in the first Test, Ali benefited from playing positively without being at his most fluent. He reached his half-century just before the tea interval, slashing at another short ball from Roach to find the third man boundary. 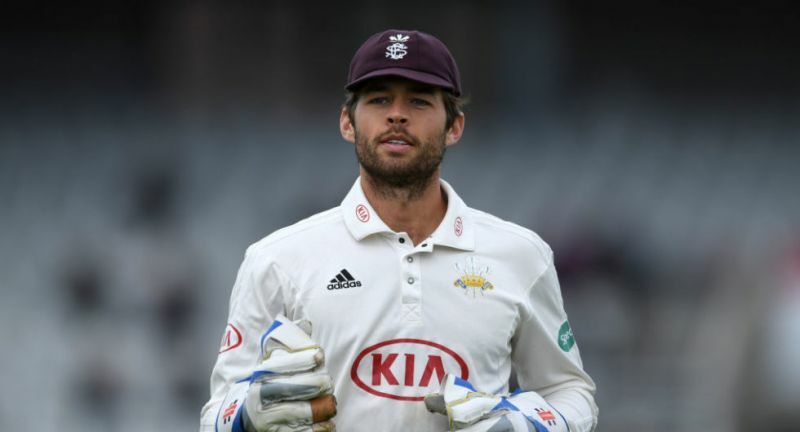 However that sense of adventure got the better of the left-handed batsman as he miscued an attempt to heave the same bowler to the leg-side where Gabriel held the comfortable catch at midwicket. His top score of 60 (104 balls, eight fours, one six) would have gone some way towards rebuilding his confidence although the innings fell away quickly thereafter, the last four wickets fell for just nine runs. As anticipated, England recalled Stuart Broad to the final eleven after the senior seamer was surprisingly dropped for the first Test with leg-spinner Adil Rashid, who failed to have any impact in Barbados, making way for the holder of 433 Test wickets. Joe Denly was the other England change from the first Test, the 33-year-old replacing Keaton Jennings at the top of the batting order. However the manner in which his debut innings ended, caught behind chasing a wide long-hop from Joseph, seemed to typify another difficult day for the English on this tour.